Engineered to the highest specification, beautifully hand painted with up to 14 coats of paint, it’s created to your own personal requirements within the Silverstone Technology Cluster area. 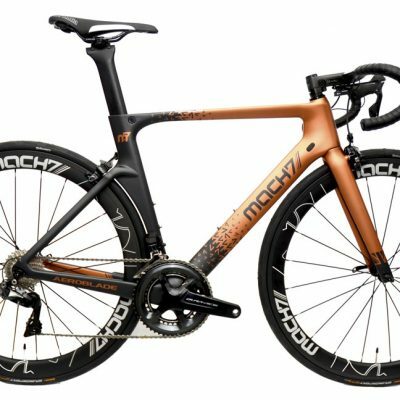 The Mach7 Aeroblade is built for pure outright speed. 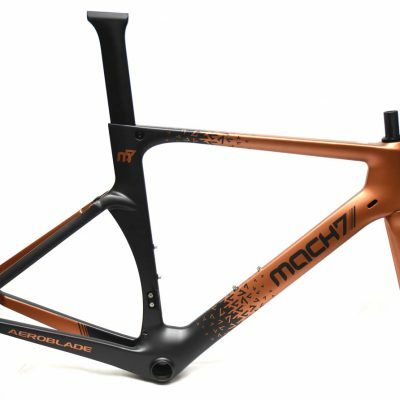 It’s also lightweight – its Toray UD carbon frame weighing just 950g – but with unrivalled comfort for a wind-slicing high modulus design. Riding this machine, it becomes immediately obvious that you’re on something special – the secret’s in the geometry – as the bike responds to every pedal stroke, accelerating to an unprecedented speed, with stability and pin-sharp handling. KRU K-Class one-piece integrated carbon aero. 100mm stem length, 420mm width, 40mm splay.